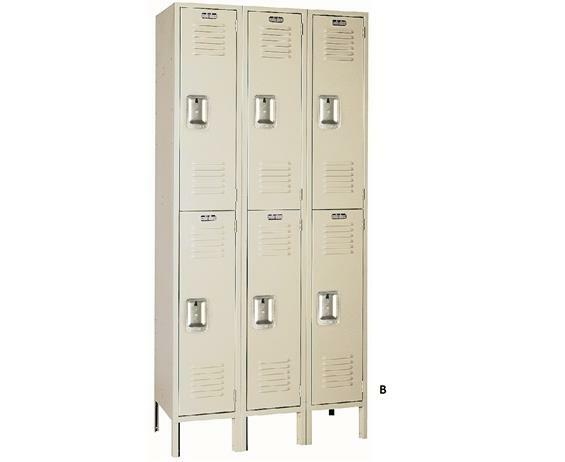 12" W. lockers have one double-prong and three single-prong coat hooks. 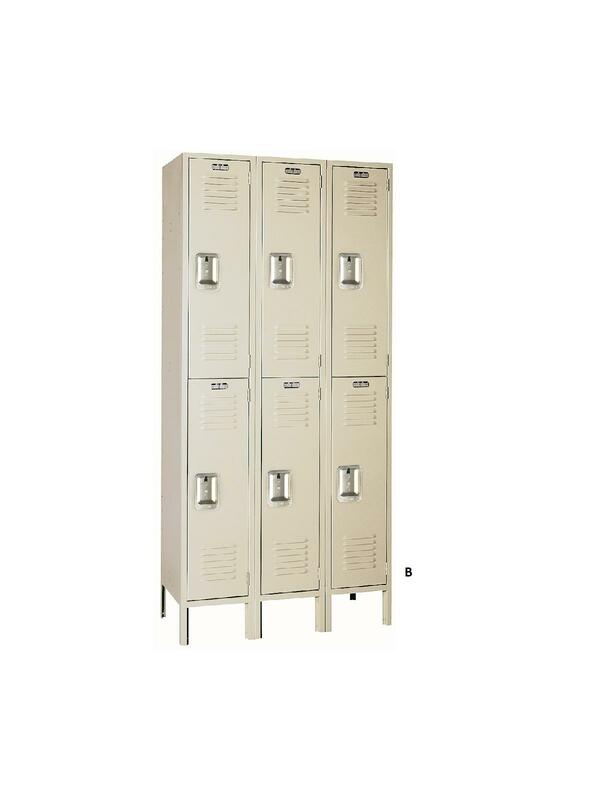 Over 12" W. lockers have one double-prong and four single-prong coat hooks. Padlock attachment. 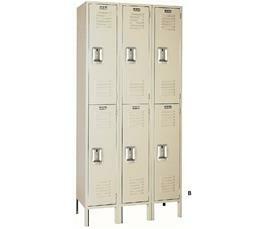 Dove Gray or Putty finish. Shipped unassembled. FOB Shipping Point.